Tomorrow I'm attending a Luscious Lunch with the Food Network's Ellie Krieger, at Garibaldi's Restaurant in San Francisco. Her new cookbook is called Foods You Crave, and the menu will be from recipes in the book. I have to give Barbara Lane of the JCCSF a shout out for inviting me. Barbara is the JCCSF's Director of Lectures & Literature, and will be "in conversation" with Krieger. 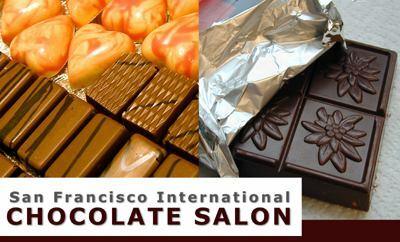 Join us by calling 415.292.1233. Cheers. The culinary extravaganza is crowned by a gala dinner featuring Beard Award winners including special guest chef extraordinaire Gale Gand, Executive Pastry Chef of Tru in Chicago; Traci des Jardins of Jardiniere, the 2007 California winner; and Nancy Oakes of Boulevard. Fellow Award winners author-chef Joanne Weir and Cindy Pawlcyn of Cindy's Backstreet Kitchen will also headline the benefit on Friday, September 28th at St. Regis San Francisco. The evening will be presided over by Joey Altman, local food luminary and host of KRON's Bay Cafe. Highlights will include special guest Susan Ungaro, the president of the James Beard Foundation toasting the chefs and dinner guests during a dessert reception featuring mouth-watering confections, wine pairings by women winemakers, and followed by a silent auction benefiting the James Beard Foundation. The celebration will continue on Saturday, September 29th with an in-store Williams Sonoma Festival Day saluting founder Chuck Williams, at the Union Square flagship store. The Festival will include cooking demonstrations, cookbook signings, artisanal tastings and children’s activities. In addition to benefiting the James Beard Foundation, a portion of the proceeds from the dinner will also be donated to the San Francisco Food Bank.